Emoji's are a great way of adding some fun to an email whilst emphasising a subject or point. In this article you will learn how to add emoji's into the subject line of your emails, which you can send out in your campaign. 1. 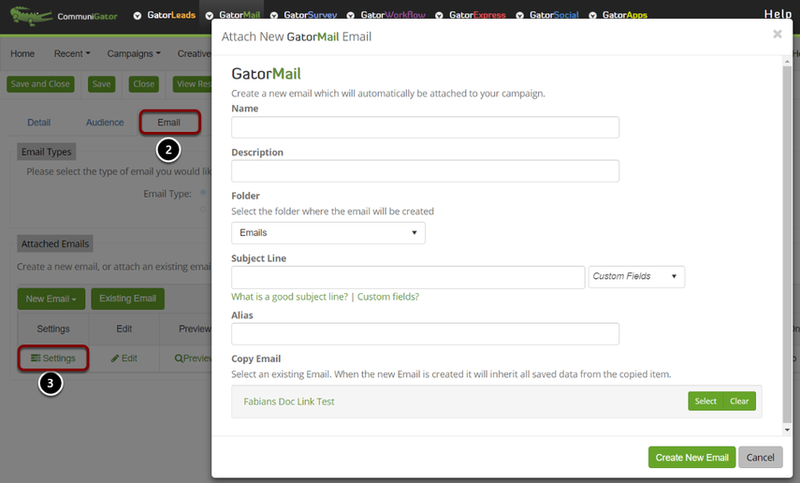 Click on the campaign name for the campaign your email is/will be attached to. 2. Click on the email tab inside the campaign. Here you will see the email you have attached. 3. Click on 'Settings' to open another screen. Now keep this window open whilst we find your emoji in the next step. 1. For choosing your emoji you will need to head to an external provider here. 2. This website allows you to choose an emoji through a link they provide here, but you can also use your own emoji. 3. Paste your emoji into the box along with the subject line text. 4. Click the 'Encode' button. It will produce an encoded string. 5. 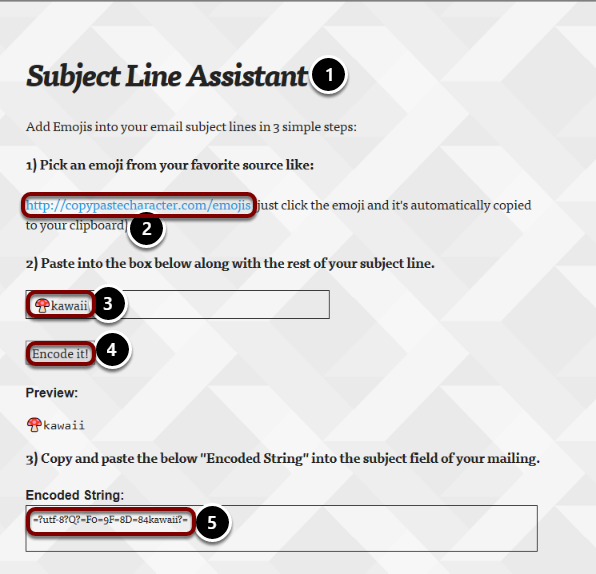 Copy the encoded string into your email subject line and save. Below is a just a small selection of the emoji's available for your use. Make sure you test your email first before sending it out to ensure the emoji has translated through properly.